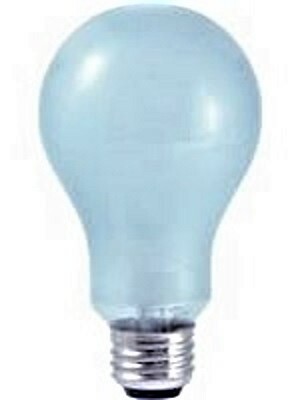 Incandescent, general service lamp A21 shape, clear neodymium glass,120V 100W medium screw base. 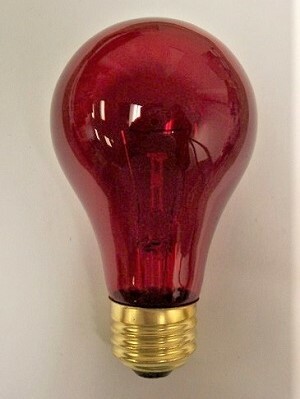 Neodymium glass is slightly blue, which filters out the yellow color temperature normally evident in standard incandescent bulbs. Tuff coated for shatter resistance.